Window or a way to ventilate the room. Ceiling and walls that allow for fasteners rated strong enough to hold up your lights and allows reflective material. Closet or another small close by room for seedlings and/or clones. You have to get your grow medium and water into your weed room so try and use a room that will make it easy for you to carry in your supplies. We suggest using a soil mix (read our formula here) versus Hydroponics. There is nothing wrong with Hydroponics and many people have great success with it. For us, it’s too complicated and we don’t really see an increase in quality or yield so we don’t use it. Depending on your local state law/rules, you’ll be able to have a certain amount of plants in the vegetative cycle and a certain amount of plants (probably less) in the flowering cycle. For example, if you’re using what we recommend, 7 gal pots, (you can go smaller if you need to), and you have 7 plants, you’ll be lugging in about 50 gallons of soil mix which weighs about 50 pounds or so plus what ever else you add to it. For each 7 gal pot depending on the soil mix you’re using, you’ll need from 1 to 2 gals of water (8.8 lbs per gallon) about every 1 to 3 weeks. This is a pretty wide window and there are many considerations so follow our advice for making the soil mix and proper watering. NOTE: WE ARE NOT ELECTRICIANS. GET PROFESSIONAL ELECTRICAL ADVICE. We limit the power draw for each individual circuit in our grow room at 1500 watts as measured from the equipment specs. To tax your home’s electrical circuits will do nothing but cause grief so why take a chance. Disclaimer: we are not electricians. Please, doubly please, check with someone who knows what they’re talking about. We suggest having a window but it must be completely blacked out with very small openings for fan exhaust/ventilation. The heavy construction black trash bags work very well. Cut them open and trim to size and tape them around the window. If you’re using HID (high intensity discharge) lighting like MH (metal halide) or HPS (high pressure sodium) bulbs, heat buildup will be a problem so ventilation is needed. We strongly suggest only running HID lighting when you are in the building. We run ours from 7 PM until 7 AM (flower cycle). For the veg cycle we use the GLR (gas light routine). It’s cooler in the evening and it’s easier keeping the grow room between 75-85 degrees. We also keep a fan running 24 hours per day. Fan and ventilation are must haves. Click Here for more info on the ratchet hangers. They are a must have. At one time, we used shelves and a ladder on either side of the grow area and ran 2×4’s across the span (look at the image) to hang our lights. In the beginning while you’re getting your feet wet, this works okay. When you’re more experienced and know the lights you’re going to use etc…the best way to set up the lights is hanging them from the ceiling and using an adjustable rope ratchet hanger versus some type of chain. Chains are a pain. The adjustable hangers are great and worth the extra expense. You want to use fasteners that are easy to install plus strong enough to hold the weight of your lights and what ever else you’re hanging. For HD lights, we use a drywall anchor and screw hook and mount them from the ceiling. For LED lights which are much heavier, we use toggle bolts and a screw hook for the extra holding power needed. To get the most bang for your buck as far as lighting goes it’s best to use some type of reflective material on the floor and walls. We use foil covered insulating sheets. They are fire resistant, easy to handle and relatively inexpensive allowing you to make your own grow tent. If you have the budget and you’re tight on space, a grow tent works well and range in price from about $75 to $250 depending on size and quality. 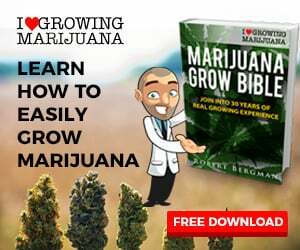 Since it is something you can use over and over, read the reviews and get the best grow tent you can afford. It’s nice to have one room for vegetative growth, seedling and clones and a separate flowering room. A closest in your flowering room will work if you can block it off so light can’t escape. Use part of your extra room to start your clones and grow seedlings and the rest of the room for your plants in the vegetative cycle. If the extra room is connected, under no circumstances can you allow light to escape while the other room is dark. You’ll confuse the plants and the flowering plants will start to morph resulting in either weird looking leaves or they’ll turn into male plants and start making seeds. I would love to read your comments or answer your questions. Enter your email address to subscribe to this blog so you don't miss a thing.